Posted: May 30, 2012 in Where Have I Been? I don’t know exactly when it started, but I like checking local zoos out when I travel to new places. There’s nothing like the rancid smell of mixed animal pee and poo in the air. Heh. But I do love visiting those animals, though some say it’s inhumane to keep them in a controlled environment. Whatever lol. 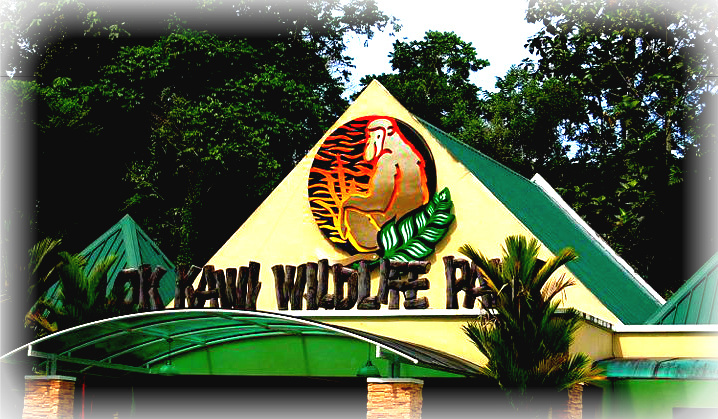 We squeezed in a trip to Lok Kawi Wildlife Park during our city tour in Kota Kinabalu, Malaysia. The squirrel monkey was really hard to photograph as it kept jumping around from one place to another. Super hyper and elusive! The peacock, however, seemed bored and was just standing around. Heh. It even went up near the edge of the cage as if begging for a close up. It’s pretty cool how these two seemingly opposite creatures were put together in just one enclosure. 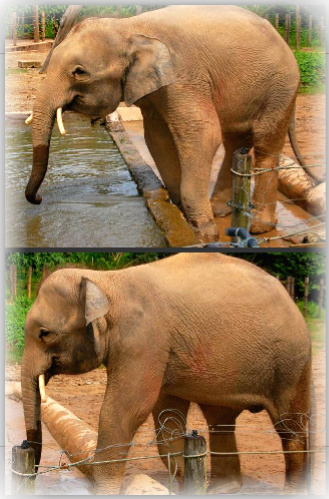 I spent a considerable amount of time watching this baby elephant try to get into the bathing pool. #supercute!!! He would put one foot in then slowly retreive back. Then just decides to dip his trunk into the water. After some time, he tries with the foot again. I eventually just got bored and moved on to other attractions. 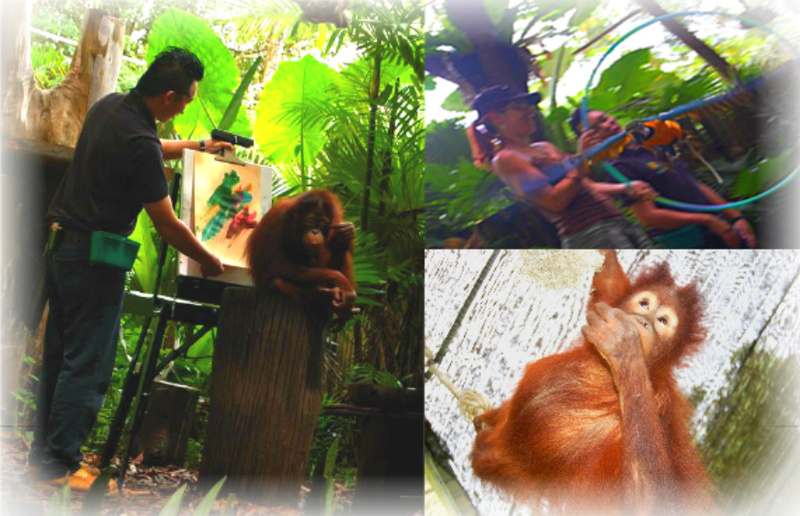 We were able to catch the animal show with a painting baby orangutan, hula hooping bird and puzzle solving parrot. I’ve always admired zoo trainers. The amazing bond they have with the animals never cease to amaze me. At one point, the host picked people from the audience to do stuff with the show animals. And boy, oh boy! I was lucky (NOT!) to be called up front when they took out the snake. I don’t like snakes! I don’t like creepy crawlies! The snake wasn’t even that big but cold sweat drenched me as I savored my 5 minutes of fame (or shame). LOL.